• INFINITI LAB Hong Kong 3.0 launches, following INFINITI LAB’s successful programs in Singapore and Toronto, Canada. • Seven startups from around the world selected from over 130 applications. • The program will focus on the “future consumer”, innovations in retail technology and the customer experience. [HONG KONG] Friday, 13th October 2017 — INFINITI Motor Company, Ltd. and Nest, a leading venture capital firm and innovation partner, yesterday announced the official launch of the INFINITI LAB Global Accelerator 3.0 under the theme of “The Future Consumer”. INFINITI LAB is a global program that aims to address locally relevant challenges. 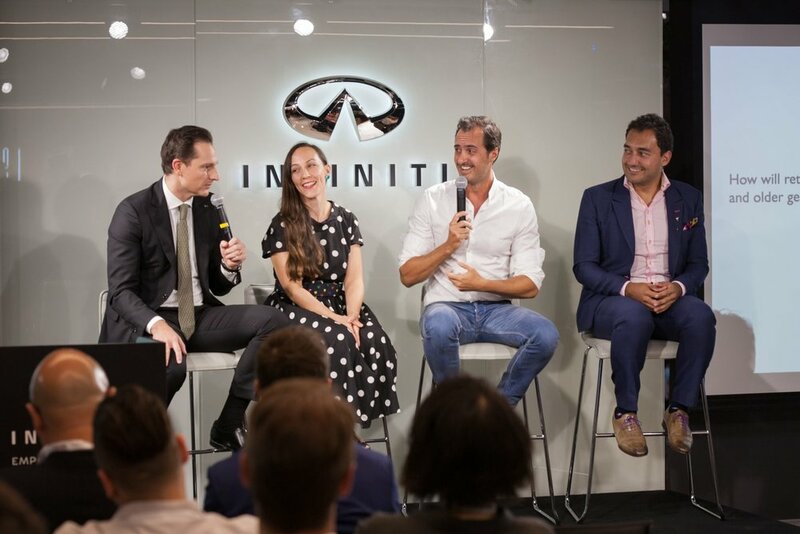 Embracing the opportunity to boost retail innovation in Hong Kong, INFINITI has invited seven high-potential startups, two from Hong Kong and five others from Canada, Germany, Mexico, Sweden and the US, to its global headquarters to develop future technologies that enhance the customer journey. During the program, they will test, evolve and refine their technologies to win over investors and industry leaders. “INFINITI has an established reputation as an innovator with a pioneering spirit. This makes us a natural partner for entrepreneurs who seek out new experiences and push boundaries every day,” said Dane Fisher, General Manager, Global Business Transformation & Brand, INFINITI Motor Company. The evening launch featured a live panel discussion on the topic of The Future Consumer: Improving Customer Experience with Emerging Technologies. The speakers—including Dane Fisher, General Manager, Global Business Transformation & Brand at INFINITI Motor Company, David Castaneda, Head of Business Development of Visionaries 777 and INFINITI LAB Hong Kong 2.0 alumnus, Benoit Lavaud, Group Digital Director, Bluebell Group, and Elisa Harca, Regional Director, Red Ant Asia—shared their thoughts on how disruptive technologies such as AI, Big Data and VR will transform consumer experiences in Hong Kong and the world over. This year, two Hong Kong-based startup ventures, COVE and actiMirror have been selected to join the global program. The program will conclude with Demo Day on Monday, 13th December 2017, where the entrepreneurs will pitch their ideas to a panel of investors in hope of securing partnerships and funding to propel their businesses to the next phase. They will also have a chance to pitch their business cases to key decision makers from INFINITI and the Renault-Nissan Alliance. These programs and key partnerships are the latest developments in INFINITI’s ongoing support of the global startup ecosystem. INFINITI continues to explore innovative new initiatives and partnerships that empower entrepreneurs on every step of their journey. For more information on INFINITI programs, please visit our website https://www.infiniti.com/pursuing-potential/infiniti-lab.html.